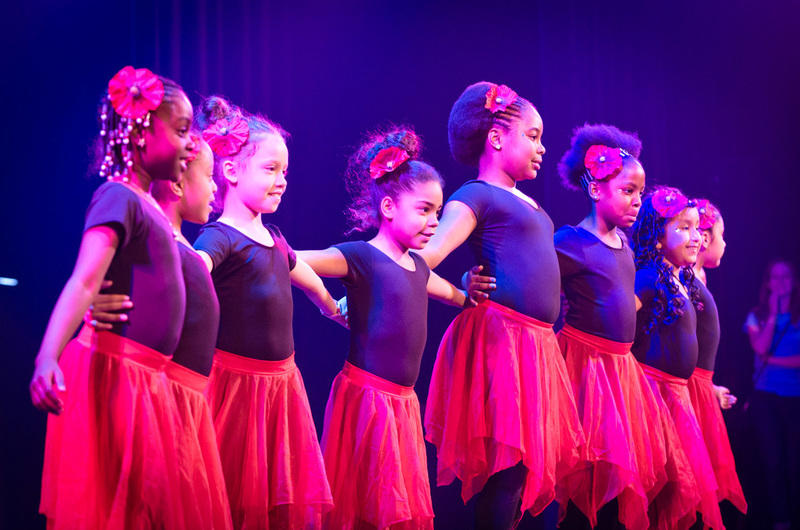 Groove With Me began with a vision that a dance center could become a safe space where girls would discover their potential. In June 1996 the organization’s founder Abigail McCreath launched her first class with two students at Loisaida, Inc., a community center on the Lower East Side. In that first year, Groove With Me grew to serve over 40 girls ages 7-14 with five classes per week and seven volunteer teachers. In February 2001 Groove With Me opened its own studio in Spanish Harlem. In the first half hour of registration 200 girls poured through the door. This rapid growth clearly demonstrates the need for this girl-specific activity. Groove With Me, Inc. now offers 280 students, over 35 classes a week, taught by 30 volunteer teachers.